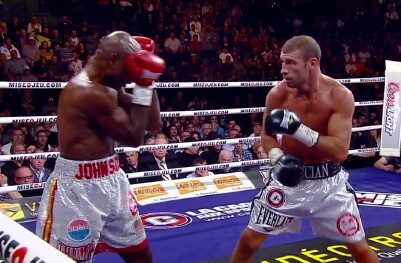 By Allan Fox: Former IBF super middleweight champion Lucian Bute (31-2, 24 KOs) has reportedly rejuvenated himself with a change of fighting styles, and he’s now looking better than he has in many years. Bute, 35, is looking to reinvent himself and become a world champion once again since losing his IBF 168lb title three years ago in a disastrous loss to Carl Froch in 2012. Bute will be fighting Italy’s Andrea Di Luisa (17-2, 14 KOs) on August 15th on Premier Boxing Champions on NBC Sports at the Bell Centre in Montreal, Canada. Believe it or not, this will be only the fourth fight for Bute in the last three years, and he’ll be looking to make up for lost time when he gets back inside the ring. Bute’s fight against the 33-year-old Di Luisa will be taking place at a catch-weight of 171 pounds rather than the full weight for the light heavyweight division. Bute was briefly trained by the well-known Freddie Roach, but the two are no longer working with each other. Bute is now being trained by Howard Grant, and he’s making changes in improving flaws in Bute’s game. He had been hoping to get back inside the ring last December, but a back injury kept Bute out of the ring until now. In looking at some of Bute’s recent workouts, he’s looking very good and very strong. If he can stay in this kind of condition, then Bute would have a good chance of winning a world title at 168. The super middleweight division gives him his best chance of regaining a world title. At 175, Bute would have to fight guys like Sergey Kovalev, Adonis Stevenson, Artur Beterbiev, Juergen Braehmer and Jean Pascal. That’s not a good division for Bute because those guys can all punch and they’re pretty rugged fighters. You have to possess a good chin to fight at 175, and that might be an area where Bute is fragile. Bute hasn’t fought since January of 2014 when he was beaten by Pascal by a 12 round unanimous decision in Montreal. Bute looked like he was afraid to commit to any of his punches for fear of getting hit by one of Pascal’s fast and powerful counter shots. The performance from Bute showed pretty clearly that he didn’t really belong at light heavyweight. He’s a much better fighter at 168, because there are not a lot of huge punchers in that weight class. No.1 WBC George Groves may be the biggest puncher at 168 now that Froch has retired, and you can make an argument that Groves is really a light heavyweight who melts down to fight at 168. Grant needs to fix Bute’s mental mistakes that he makes by him retreating to the ropes frequently. Bute got into that habit before his fight against Froch, and it eventually cost him. Before the Froch fight, Bute would go to the ropes and set traps for his opponents by looking to land powerful body shots to score knockouts. But that approach didn’t work for him against Froch, because he was able to overwhelm Bute with shots before he could get off any of his hard body shots. Bute still hits just as hard as he did in the past. The only difference is he’s not throwing as many punches as he did previously. Grant hopefully will fix Bute’s punch output to have him throwing shots like before, and this could make him a champion once again when he finally gets a title shot against the likes of Badou Jack, Arthur Abraham or Arthur Abraham. Bute would have an excellent chance of beating all of those fighters. If Bute can let his hands go and handle the return fire from those fighters, he’d give them all kinds of problems.